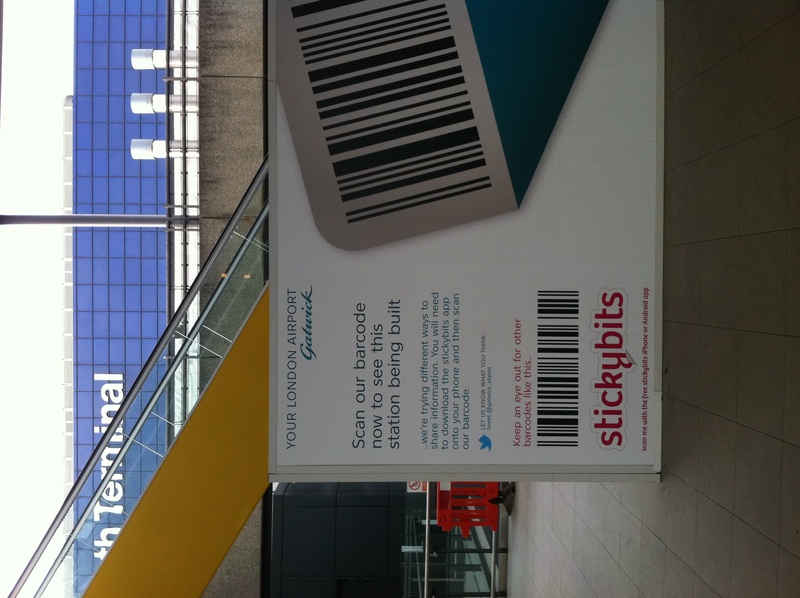 Gatwick Airport has unveiled a novel way of bringing its £1 billion investment programme to life, through a barcode ‘Gatwick Discovery Tour.’ Becoming the only airport in the world to use standard barcodes as an audio-visual information tool, Gatwick is also the first UK brand to work with stickybits, whose free mobile application is used to scan the codes. 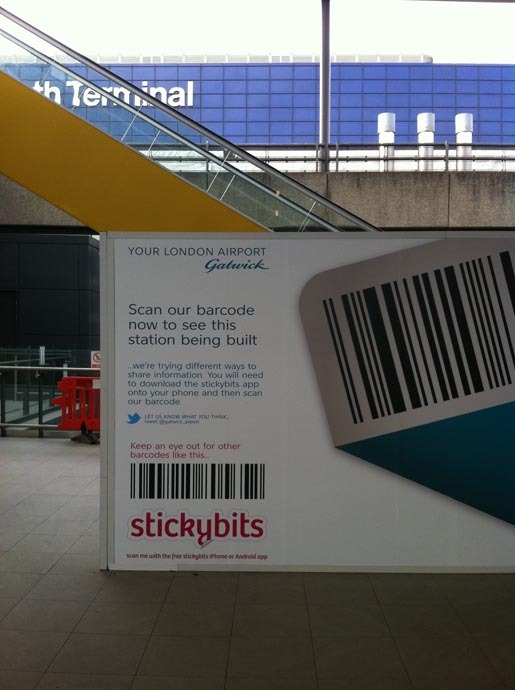 StickyBits is a mobile application which uses barcodes printed on stickers to make every day objects scannable by mobile. 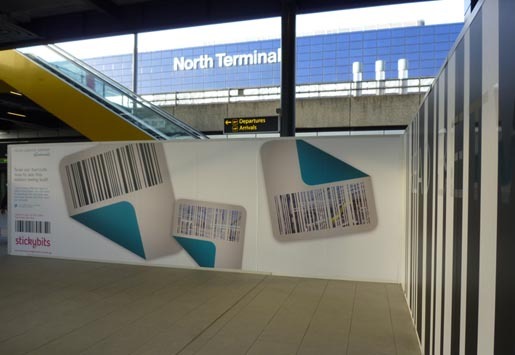 The barcoded stickers placed on hoardings at Gatwick airport will, once scanned by a passenger, show a short video and some photographs detailing the changes taking place at the airport turning the hoardings into a digitally interactive object. The audiovisual tour will also be linked to location-based social networks such as Foursquare, Gowalla and Facebook Places, so passengers can check-in and view the content online via smartphones. 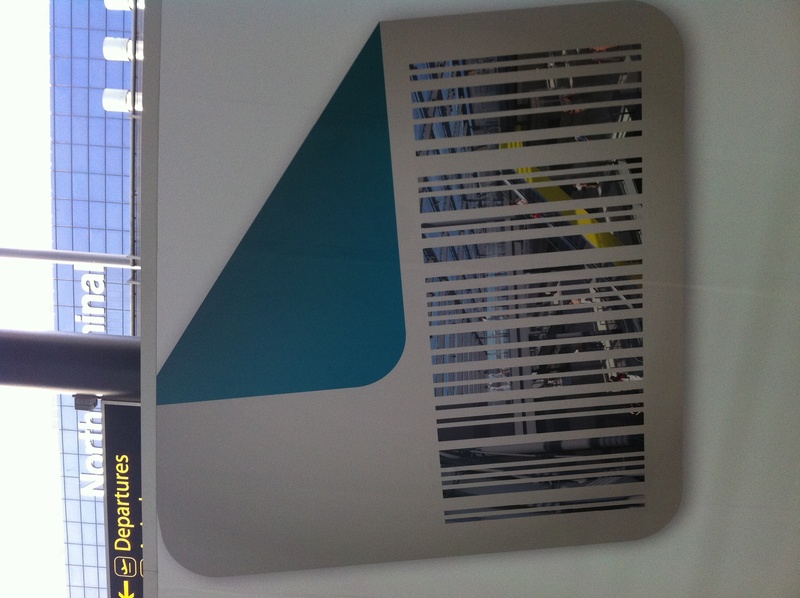 Gatwick is kicking the tour off at the North Terminal inter-terminal shuttle departure point. 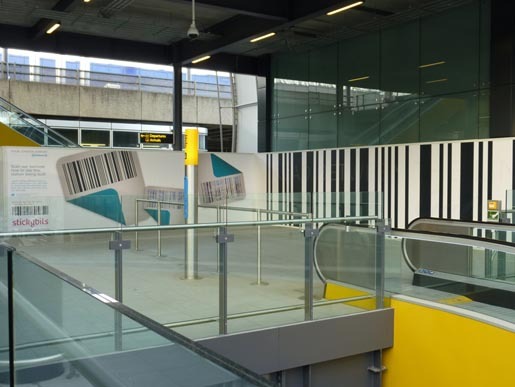 A video shows how the new shuttle route between the North and South Terminals was built, and opened a month ahead of schedule. 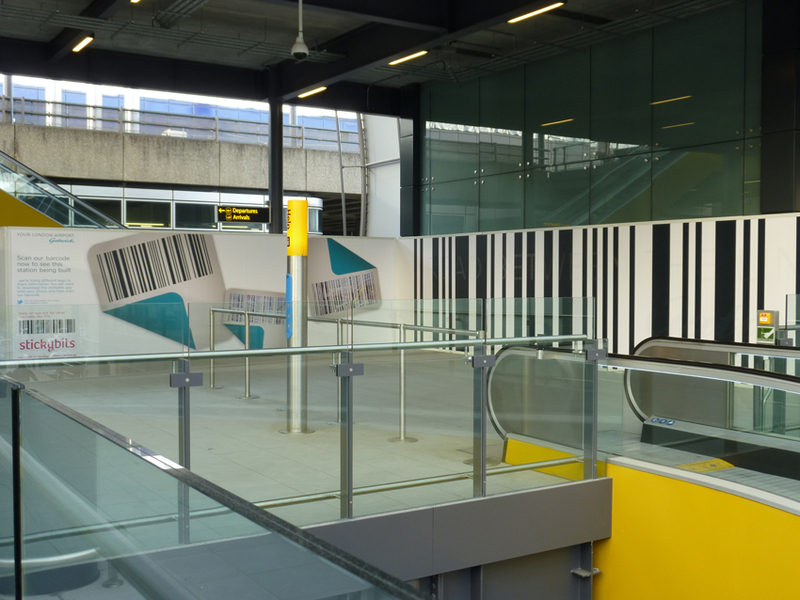 Over the coming weeks and months, more barcodes will be introduced at check-in and just after security in the North Terminal as well as the forecourt areas and immigration in the South Terminal. Locations will be changed and the content refreshed to keep the tour interesting and up-to-date. 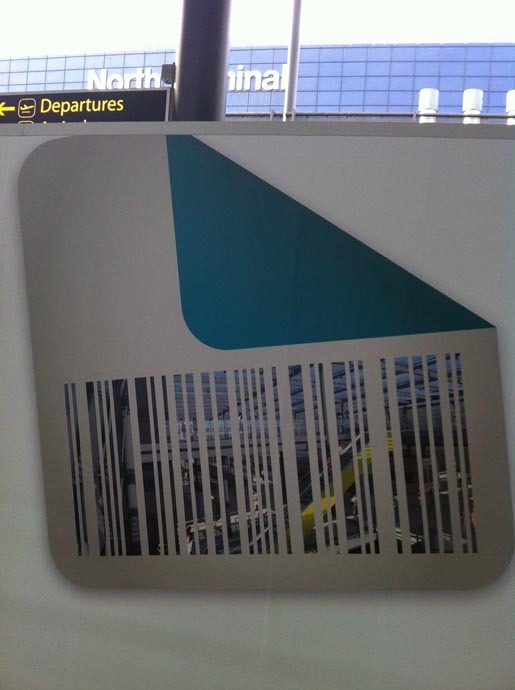 The aim is to give passengers an audio visual peek behind the scenes of how their London airport is being transformed. The Gatwick Discovery Tour forms part of an overall strategy by the airport to use social media tools to keep passengers up-to-date with what is going on at the airport, give them a mechanism to feedback on their experiences and improve the overall information flow around the airport. As part of this, operations and customer services staff are undergoing training in the use of Twitter with the aim of making it a 24 hour real-time customer services tool, and Gatwick is planning to unveil further ways in which passengers can interact with the airport over the next two months. The Barcode Discovery Tour was developed at The Rabbit Agency, London.